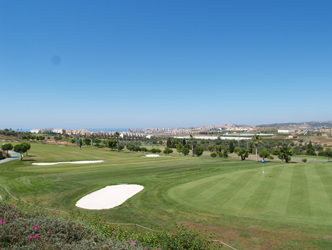 One of the few courses located near Malaga on the East side. It is situated below the Sierra de la Almijare. The Baviera golf course is a flat and wide course with big fast greens. The variety of holes and the unsurpassable views both to the Mediterranean sea and the mountains contribute to make you enjoy and share an unforgettable day at Baviera golf. Jul erbjudande, 2x1-1 gratis, gäller endast lördagar mellan 01.12.13-15.01.14, Alla spelare måste välja samma green fee erbjudande.